The Black Hollywood File: MEADOWS LATEST TO JOIN "GROWN UPS"
MEADOWS LATEST TO JOIN "GROWN UPS"
Former SNL alumni is the latest to join in the party for the upcoming "Saturday Night Live" reunion taking place on the set of the Columbia comedy "Grown Ups." 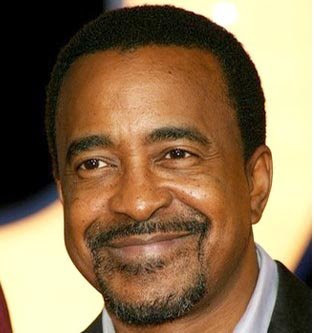 Tim Meadows, a 10-year "SNL" alum, joins former colleagues Adam Sandler, Maya Rudolph, Rob Schneider, David Spade, Chris Rock, Norm Macdonald, Tim Herlihy and Colin Quinn in the cast of the ensemble comedy about high school friends who get together 30 years after graduation. Sandler, who is producing with Jack Giarraputo via their Happy Madison shingle, wrote the script with Fred Wolf. Dennis Dugan ("I Now Pronounce You Chuck & Larry") is directing. Barry Bernardi is executive producing. Meadows, repped by APA and Brillstein Entertainment Partners, has appeared in the features "Mean Girls," "Benchwarmers," "Walk Hard: The Dewey Cox Story," "Semi-Pro" and "The Ladies Man." He stars on the TBS comedy "The Bill Engvall Show" and will appear in Fox's summer movie "Aliens in the Attic."